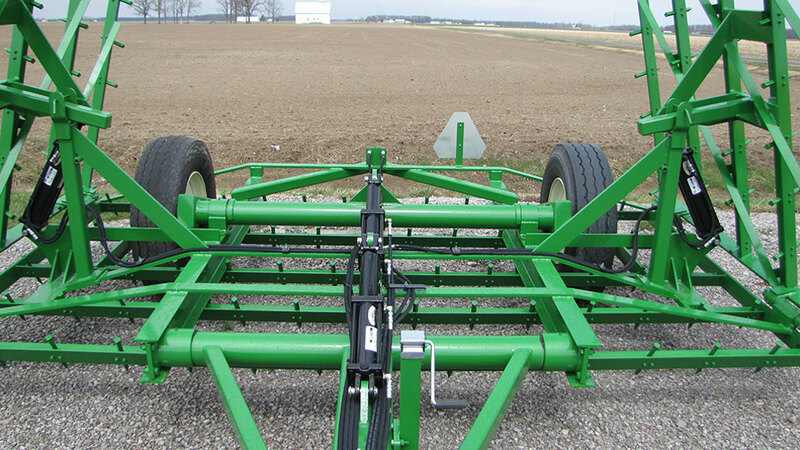 Verhoff Machine & Welding Inc. was founded in 1955 to service the Agricultural Industry. Since then, we have expanded to offer services to the Industrial Manufacturing, Heavy Equipment, and Military Industries. We have implemented state-of-the-art CAD-CAM programming in Engineering, fast and accurate CNC equipment in Manufacturing, and a Portable CMM (coordinate measuring machine) in Quality Assurance. From a single piece to a repeating production, VM&W will give you a competitive edge. We also offer shape cutting, forming, cutoff, rolling, welding, cylinder expanding, machining, metal fabrication, and warehousing services. Our Engineering team is experienced in all aspects of project design with advanced tools like Solid Works modeling and Tops RotoLase. VM&W is able to accurately render your parts and optimize production by reducing the time it takes to prototype. 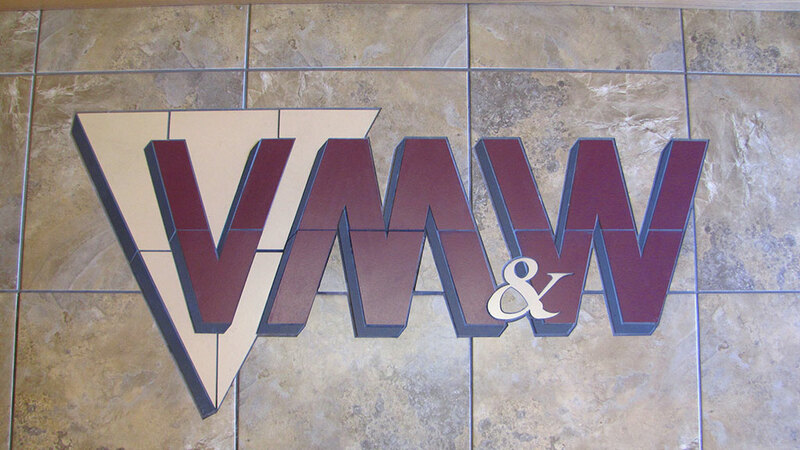 VM&W is constantly watching the industry to learn the latest advances and techniques in a never ceasing effort to provide our customers with the best products and the quickest possible turn around. 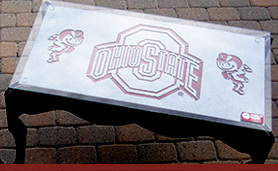 We use state-of-the-art manufacturing software to track each job from inception to shipping. The warehouse has modern computerized services. It is a two-floor, fully heated distribution center with a sprinkler system and 24-hour monitored fire protection. 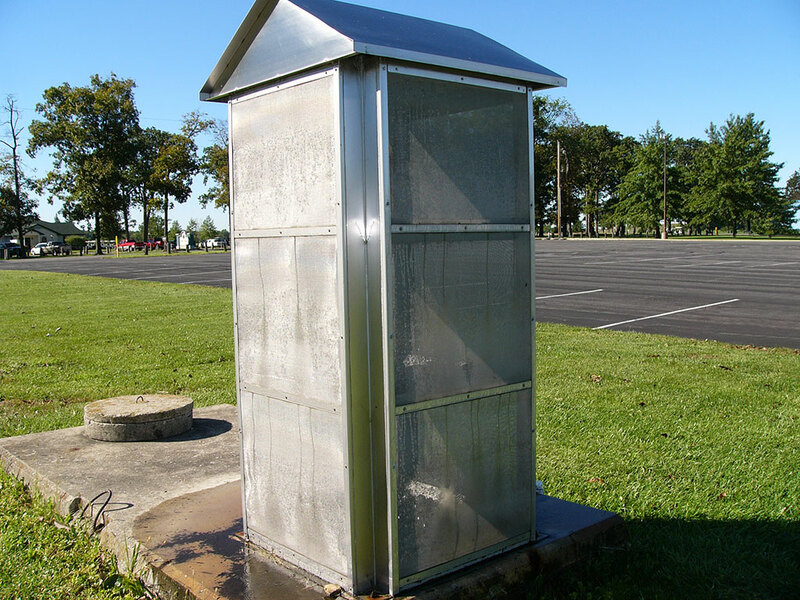 The highest quality, safety, and sanitation programs are also implemented. 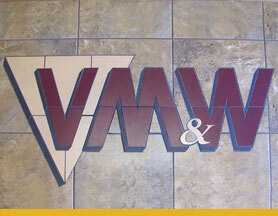 VM&W offers onsite fabrication, installation, and repair services. 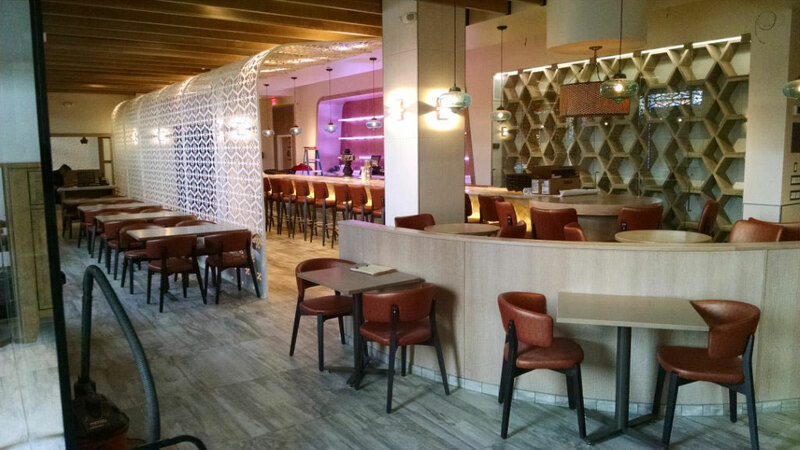 VM&W can take your project from Idea to Reality in short order. The time necessary for prototyping is greatly reduced by closely linking our Engineering, Manufacturing, and Quality Assurance departments. Browse our galleries of work to see the quality, precision and diverse capabilities of Verhoff Machine & Welding from the most demanding of industries to commercial products. 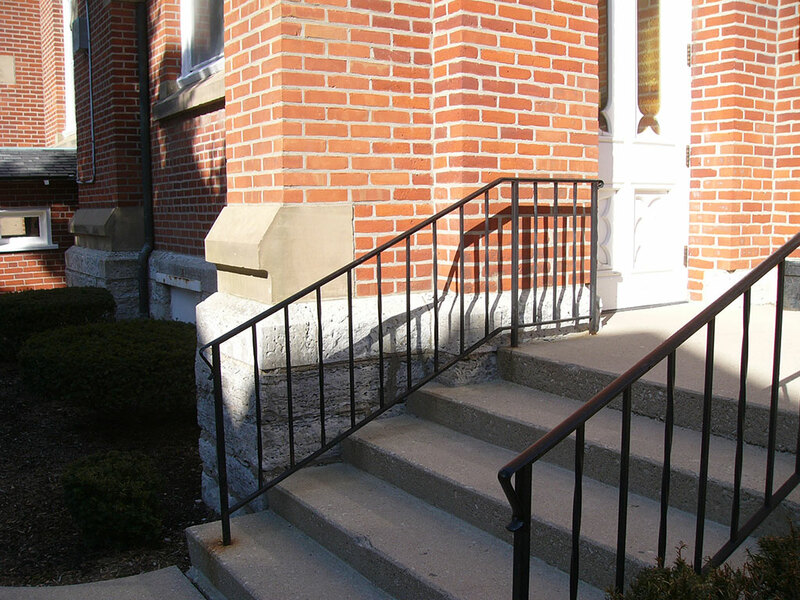 TGM Inc. began in 1995 on East Edgerton Street in Bryan, Ohio. After a brief period, TGM moved to 401 North Union Street in Bryan. This move allowed for growth and expansion of the CNC Vertical Milling and Lathe Machining area to include CNC EDM Wire and Ram Machining capabilities. TGM was purchased by Verhoff Machine & Welding, Inc. in 2012 and continues to operate as a subsidiary of VM&W. The joining of TGM and VM&W’s capabilities has enhanced opportunities for both organizations. Ottawa Defense Logistics Warehousing can supply you with a secure, environmentally controlled location to house your products. Warehousing services include: Inventory Control, FIFO, Shipping & Receiving, Visual Inspection & County Verification, and many more. The ODL facility can handle any of your warehousing, kitting, packaging, and assembly needs. Titan Bus LLC is a new entry into the Type A school bus market. Although the company and products are new, the people backing Titan have over 100 years of experience in the manufacturing and school bus industries. Titan Bus will provide outstanding products, customer service, and superior quality while striving to be a company that is easy to work with for the dealers and the end user. 2017 Verhoff Machine & Welding Inc. All rights reserved. Monitor, test, inspect, verify, and document parts to ensure compliance with prints and job travelers to meet ISO 9001:2015 and industry standards. Read, analyze, and interpret CAD prints and Job travelers. Verify print matches part and material used is correct. Inspect, verify, and document tolerances and finish quality on part during production and upon completion. Experience and proficiency with gage calibration, SPC and geometric tolerances, height gage, calipers, Faro or Romer Arm, and CMM. Able to follow established procedures and approved processes in documenting parts. Notify supervisor of quality/tolerance/reject issues. Must be able to perform dimensional inspection, in-process inspection, and incoming inspection; ensuring compliance with ISO 9001:2015 and industry standards. Must be have a high attention to detail and able to work with engineering department to define problems and implement improvements. Must be computer literate in MS Windows and MS Office. Must have good mathematical, communication, and organizational skills. Must be able to work with minimal supervision and highly motivated. VM&W is an equal opportunity employer. The Shipping & Receiving Clerk will perform a variety of basic manual tasks involved in receiving, storing, distributing, picking and shipping materials, parts, and equipment. A successful candidate must be also be able to lift boxes, operate a fork lift, and have computer knowledge. Lifting of items 20 lbs. and occasional lifting of items, not exceeding 50 lbs. Package customer orders or other appropriate packaging materials, printing customer Packing Slip, and insuring 100% accuracy of material being shipped to the customer. Maintain and perform daily and scheduled maintenance on tools and equipment. Receiving and processing incoming stock and materials. Picking and filling orders from stock. General Laborers perform a variety of basic manual tasks in the production and manufacturing of metal products. Some examples are as follows: Final Assembly and Paint Room. Must be able to read and interpret drawings, blue prints, and job traveler. Must be able to read gauges, micrometers, and apply principals for geometric tolerances. Required to accurately log in/out of jobs and report quantities completed/scrapped. Notify supervisor of quality/tolerance issues, prior to assembly and paint. Check parts using approved tools from quality control and sign off on job cards before moving job to next operation. Must use simple/basic math and basic hand-held measuring tools. On-site job training will be provided for specific department duties and responsibilities. Industrial Painter must have knowledge of spray equipment and paint ovens. Must have knowledge of mixing, blending, thinning and tinting paint, removing old paint, repairing and cleaning surfaces and applying coatings to surfaces. Set up, maintain, and document maintenance procedures for paint line. Document production process, production levels, and maintain quality standards established by management. Keep clean, orderly and safe working conditions. Must have reasoning ability – to apply common sense and ability to paint spray troubleshoot independently. Two years’ experience in Industrial Painting. Employees subject to random drug and alcohol testing. Vertical and Horizontal CNC Machining operators must produce quality products that exceed customer expectations on Haas machines. Previous experience and familiarity with tooling and fixturing, Mastercam, PRO-E, and Solidworks would be a plus. Able to verify material types being milled, detect and report defective or questionable materials, and perform tolerance checks during production. Verify print matches part being milled. Must set up area and machine for job. Notify supervisor of quality/tolerance issues, prior to running job. Maintain tolerances and finish quality on job during production and upon completion. Have quality control check first part with red dot on work card for approval to run. Involve quality control and engineers if parts found to be out of tolerance. Notify management of machine failure and assist with maintenance. One year of experience CAM programming. Three years of experience with CNC. 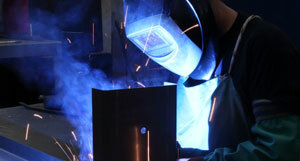 Welders / Fabricators will operate metal fabrication equipment in compliance with company operating procedures using MIG, TIG, and ARC welding processes. They will also be required to become military weld certified in the MIG and TIG processes and able to make some fixturing to meet print specifications. Must be able to read and interpret drawings, blue prints, welding process specifications, and job traveler. Verify print matches part being fabricated/welded. Must use basic hand-held measuring tools. The CDL Truck Driver must be highly motivated, detail oriented, and a dependable team player. The job includes shipping and receiving tasks that allows the driver to be home daily. • Performing packing and unpacking of shipment deliveries. • Securing trucking freight by hand. The Saw Operator will be responsible for cutting various materials and verifying that the material meets the blueprint specifications, which includes, but is not limited to dimensions, heat/lot number, material grade/type, etc. The operator is expected to maintain the material stock and notify supervisor if the material is running low..
Verify material being cut is correct, by referring to blueprint for material type and size. Load and unload steel racks. Must be able to read and interpret drawings, blueprint, and Job Travelers. Request material when stock is running low or is empty. Perform machine checks to make sure machine is aligned and in tolerance. Regularly required to sit or stand, bend, and move about the facility. Lifting of items 20 lbs. and occasional lifting of items not exceeding 50 lbs. The Shipping Supervisor will perform a variety of tasks involved in receiving and shipping products to meet customer demands. Must have previous shipping/receiving experience. Must have experience with Microsoft Office. Must be able to read and interpret drawings, blue prints, and routers. Load and unload, inspect and stack parts, and use fork lift, hoist, or crane. Required to use hand tools, grinders, torch and other special equipment as needed. Assist engineering and quality to implement procedures and programs to improve performance. Required to maintain quality standards, ISO standards, and safety standards per company policy. Perform daily scheduled maintenance on tools and equipment and perform clean up procedures in department. Assist in routine maintenance and repair on machine. Able to verify material types being used, detect and report defective or questionable materials, and perform tolerance checks during production. Brake Press Operator will bend, form, stretch, notch, punch, and/or straighten metal to meet job requirements and quality on part. Able to program brake press, restore saved programs, set up and operate brake press. Able to verify material types, detect and report defective or questionable materials, and perform tolerance checks during production. Verify print matches part being pressed. Must set up area and machine for job. The Accounting, Human Resources Assistant will provide assistance in the Finance Department at Verhoff Machine & Welding. Various duties include accounts payable, purchase orders, accounts receivable invoicing, costing reports, and supporting payroll. The applicant will also provide assistance with Human Resource duties including new hires, benefits, time clock, and attendance records. 2 years of Accounting experience. Knowledge with Mirosoft Office and self-learner of software. Must be discreet and confidential with all information. Account Manager will maintain customer accounts, improve relationship, and build the customer base in a combination of an office and shop environment. Maintain strong customer relationships with existing accounts. Act as main liaison between customers and VMW, providing up to date service to ensure customer satisfaction. Meet with customers regularly to provide solutions to problems, review product needs, determine new opportunities and provide product quotes. Perform quoting/ estimating/ costing and planning for customer’s needs. Perform daily production reviews on customer account with general manager & scheduler. Must have excellent verbal and written communication and interpersonal skills with the ability to build solid relationships at all levels of the customer organization. Must be able to read, learn, understand and interpret drawings, blue prints. 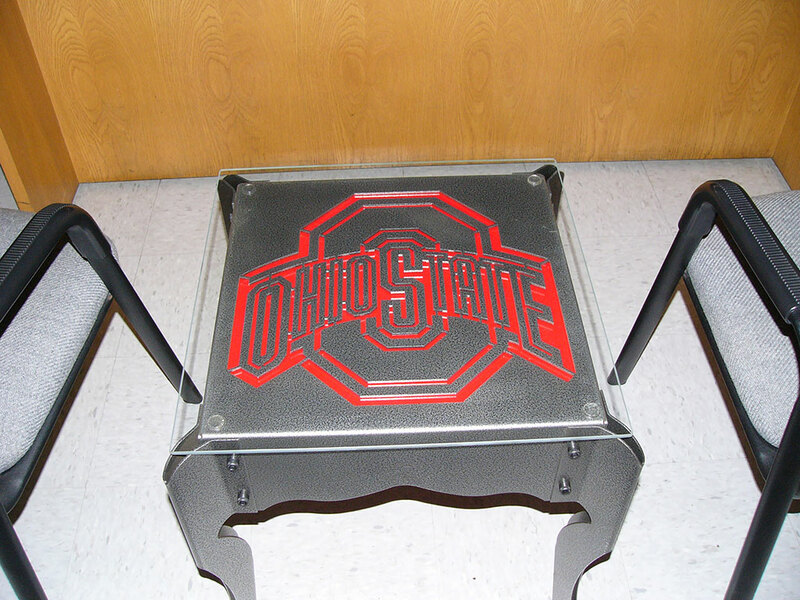 Knowledge of metal fabrication and the production processing involved. 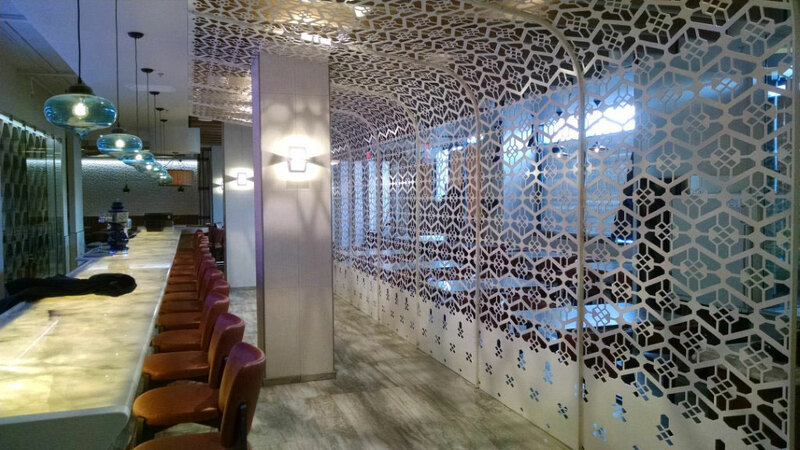 Laser cutting, waterjet cutting, milling, brake pressing forming, welding, quality, painting, assembly, shop blasting. Must work well with engineers, scheduler, and quality. Maintain complete, accurate and orderly records. Must have computer skills and knowledge. Must have a Mechanical Aptitude. The Robot Welder Programmer will set-up and operate robotic welder. The candidate will be responsible for programming and adjusting minor program changes, adjustments to welder, quality inspection, and reworking parts, if necessary. Will also be required to assemble parts into fixtures or jigs, bolt, clamp into position for welding. Mig weld. Select voltage, current, and wire feed settings within limits. Assemble parts into fixtures, secure by clamping or bolting into position for welding. Program the necessary robot and position movements for optimum efficiency. Check, verify, correct as needed during cycle. Must be able to read and interpret drawings, blue prints, routers, Job Travelers. Assist in routine machine maintenance and repair on machine. Regularly required to sit or stand, reach, bend, and move about the facility. CNC Laser Operator will set-up and operate multi–axis CNC Laser performing hole drilling, trimming, slotting, and general sheet metal cutting operations that meet drawing specs. Required to accurately complete material tagging/inventory requirements when moving parts to the next operation. Able to understand CNC Programming and edit when necessary, saved programs, recover from laser errors, adjust cutting parameter, change and adjust nozzle alignment (laser beam focal point). 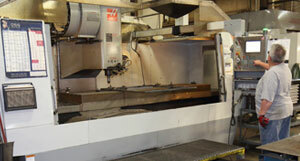 Set up and operate CNC Laser, keeping Laser in operation at maximum capacity. Assist in routine laser maintenance and repair on machine. 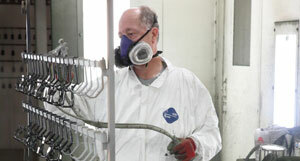 VM&W specializes in painting parts for a wide range of industries. We require certification for these different types of paint, from prep to the finished product and are EPA compliant. Our down draft primer booth, down draft paint booth, and primer and paint ovens are all located at our facility, which simplifies the painting process for our customers. 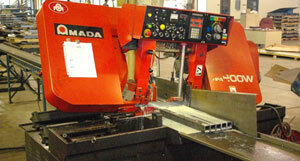 Our Machining department is offered as a support department to the rest of VM&W. 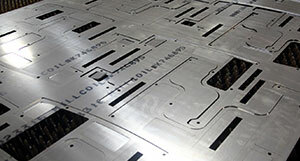 We can put the finishing touches on your project with the ability to turn, mill, drill, chamfer, bevel, and cut keyways. We also have MasterCam off-line programming that assists in reducing down time, which in return, allows our customers to save. 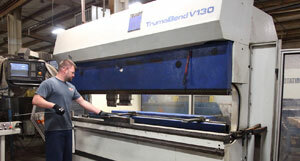 Our Press department uses state-of-the-art CNC equipment including three Trumpf V-Series Trumabends. VM&W has the equipment and flexibility to bring your needs into production. Our CNC Laser allows for rapid prototyping, greater accuracy, and a faster turnaround than traditional tool driven CNC machines. 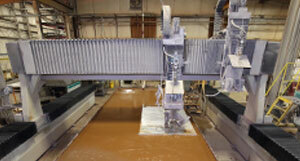 Our Flow AF-2080 Water Jet is capable of processing up to 8″ thick material with a width up to 8’x20′. The system is also able to handle a wide array of materials including steel, aluminum, composites, rubber, ceramic, and stone. 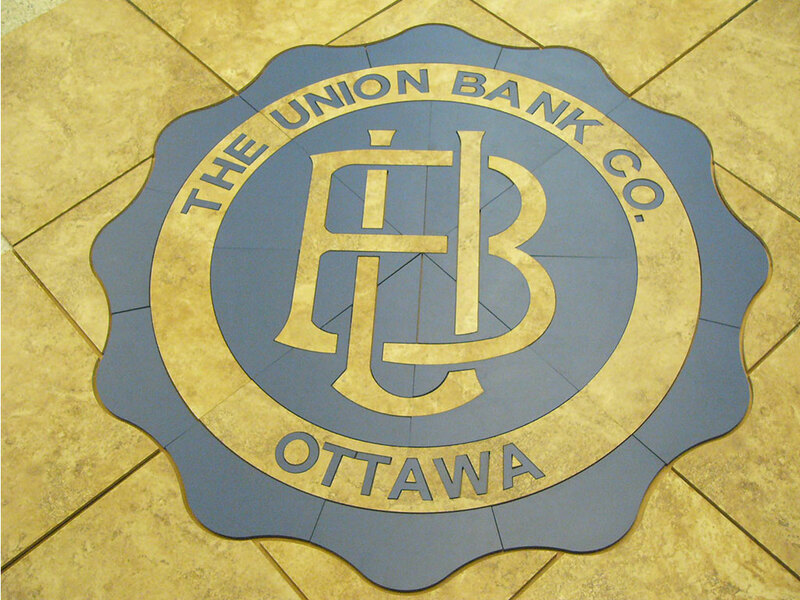 The mechanism creates a ready-to-use satin, smooth edge with no heat affected zones. It also allows closer nesting of pieces, which saves production time and raw material. 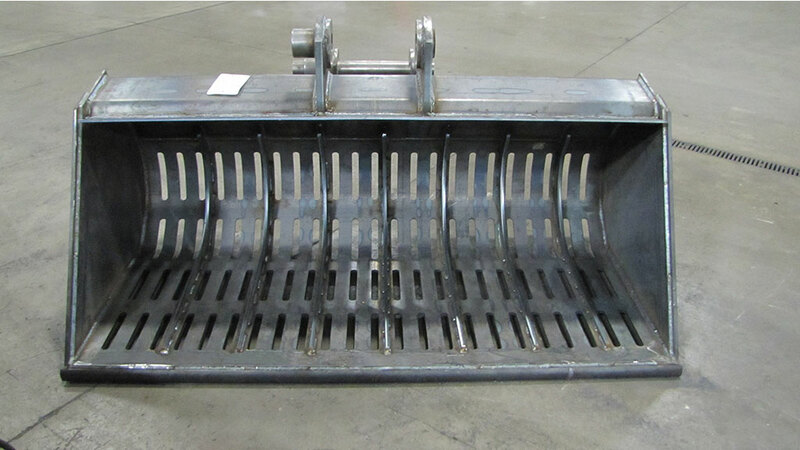 VM&W has a variety of equipment to handle your sawing, shearing, and iron working needs. VM&W welds Mild Steel, Stainless Steel, and Aluminum. We also offer robotic welding for your production needs. The Lincoln Electric Dual Arm System 55 Robotic Cell includes two Fanuc 100 iBe robotic arms equipped with Binzel LEA 500 amp air cooled welding torches. The cell consists of two work zones. Each work zone has a head/tail stock positioner with a work envelope length of 84” and a turning diameter of 54”. The two arms are programmed with one Fanuc R-J3iC robot controller. The cell is also equipped with two Powerwave 455M welding units with 450 amp output at 100% duty cycle. 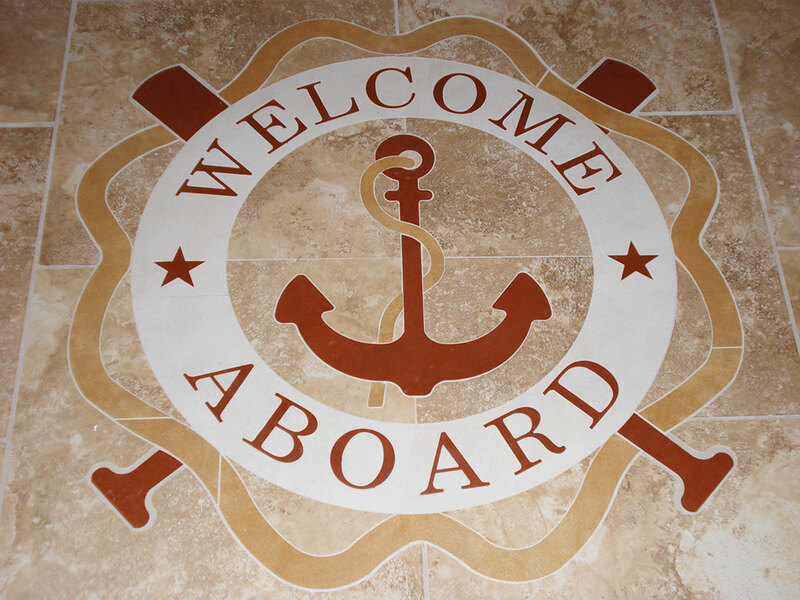 Browse our gallery below to view some of the work we have done for our commercial clients. At Verhoff Machine & Welding we are committed to exceptional quality, precision workmanship, and meeting our customers’ every need.